The Lockheed C-130 Hercules is a four-engine turboprop military aircraft originally designed as a troop, medevac and cargo transport aircraft. 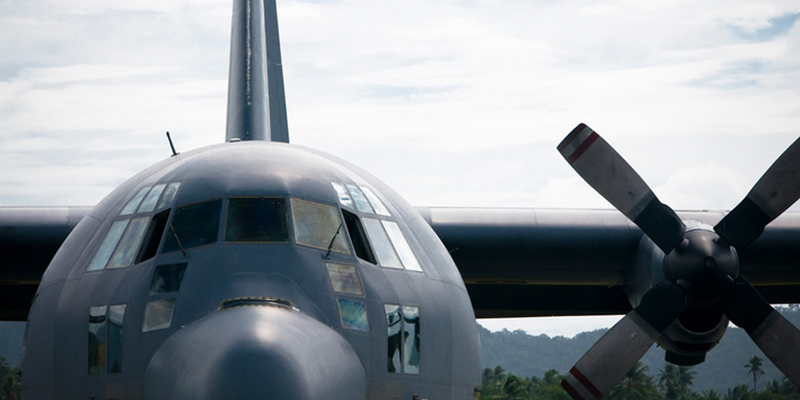 It’s versatile airframe design also allowed multiple other uses like a gunship, airborne assault, search and rescue, scientific research support, weather reconnaissance, aerial refueling, maritime patrol and aerial fighting. All theses roles lead to the creation of over 40 variants which operate in more than 60 nations. Copyrights © 2017 All Rights Reserved by Pole Air Aviation INC..